I have fought against it, but I have to admit that I am blog-fading. There are several reasons for this, so I think I will share this with you. 1 – I don’t teach much journalism anymore. This year I’m down to two journalism classes – yearbook and broadcast journalism. I no longer teach newspaper, photojournalism or intro to journalism. I’m teaching many more technology applications classes – desktop publishing, web design and video tech. Next year I mostly likely will add Digital Art and Animation. 2 – I’m more involved outside of school, both in my son’s scout pack and my church. That leaves less time to blog. 3 – I’m using my district’s Moodle server and much of what I used to post here, I now put up there. I really enjoy my Moodle, and I wish there was a place to back it up online or a way to share it without taxing the district servers. If I find it, I promise to share. 4 – Economic, my former two-income household is a one income household and I’ve been spending more time helping mi esposa find a new job in this wreck of an economy. Texas laid off tens of thousands of teachers and so, finding a teaching gig is not easy with 4-5 applicants for every new job. So, at least for the near future, this blog will go dormant. I will leave it up for those who still find it useful and may occasionally post something here. 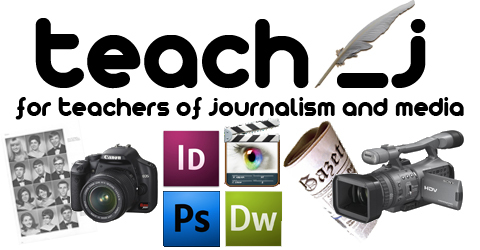 I hope to share more via Twitter – you can follow me at teach_j. 1 – After months of indecision, the Texas Legislature has finally settled on the amount of pain to inflict on public school districts. If you live here and want to know how bad it will be for the next two years, take a look. Thanks to the Texas Tribune for providing our state with the best info on every twist and turn of the crazy pink building in Austin. 2 – I love photography. Didn’t start out that way, but I love it. 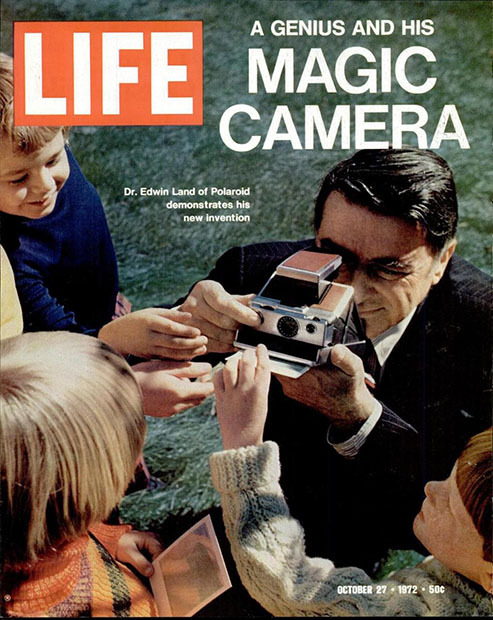 I am intrigued by famous photos, especially of “regular” people who just happened to be in a famous photo. Listverse has a Top 10 of the lives of people made famous by famous photos – especially what happened after the photo was published. 3 – Here is a great tool for creating visualizations for news stories called Many Eyes. It appears to be free. 5 – I recently wrote about how teachers in the US are taking the blame for a problem created outside of schools. And Finland has been held up lately as the solution to all our problems. But Finland and the US are nothing like each other. 6 – I deeply respect Mindy McAdams, I think she is one of the best professors in online journalism today. I mainly agree with her post – that it is not stupid to major in journalism today, as long as the student understands the landscape. They must be prepared to never work for a traditional news organization, or only work for one for a short time. They must be ready to work for a small online startup, maybe even a series of them. Their career will be very different from journalists of the past. 7 – Now this is a Facebook style photo that is worthy of being called a photograph. Houston, that is going on my Facebook page. 8 – I love my Mac, but I hate waiting for Photoshop or Final Cut to render. The Macintosh Performance Guide has all kinds of ways to help you get the most out of your Mac and the software on it, like the Adobe line of products. Worth studying. 9 – This is turning into a “stuff I love” post, but I’ve had nothing but great experiences with the wonderful people at B&H Photo. Apparently a camera they were testing (a used one) mistakenly ended up leaving their store with the photos still on it. This gave the outside world a glimpse into the world of B&H. I love the photos. I love the fact that B&H is closed on Jewish holidays, just like I love the fact that Chick-fil-a is closed on Sundays. I respect businesses that have a positive ethos and B&H does this well. They provide a great service at a good price, by friendly people. 10 – Need a free, easy to use HTML editor look no further, just click on the link. 11 – At my school, we ditched our photo company a long time ago – too costly. We now take our photos ourselves, and this means training the students on how to take a good portrait. But what is good for a thin person, doesn’t work with someone like myself – someone who has a higher BMI. dPs has a top flight post on how to photograph larger people. 12 – If you are like me, many of the photos in your yearbook are taken by staffers who never took a photo class. They got a quick and fast version of it in yearbook class and they shoot most of their photos with a point and shoot – often badly. Clifford Otto has a terrific post about how to hold your point and shoot to get the best photos. 13 – I know this is how many teachers and students feel about school right now. 14 – Do ethics matter in online journalism, maybe more so than ever. Check out this post from Mindy McAdams with 10 Rules for Online Ethics. Best takeaway – #2 Assume everything you write online will become public. 15 – Petapixel has the best explanation of depth of field I’ve ever seen. 16 – This is a fun site to teach kids about ISO, shutter and aperture – Camera Sim. 17 – I’ve heard that the kerfluffle over staging shots of presidential speeches has changed the official policy at the White House, but it is sad that they ever did it this way to begin with. 18 – This is pretty geeky and contains math content, but it is interesting – the f/stop scale is logarithmic because humans are bad at telling the difference in brightness, unless it is really big. 19 – The owners of Leica Camera were the Oskar Schindlers of the photo world. The untold story of how they snuck Jews out of Germany before and during WWII. I have more, but I’m saving some for later in the week. I know. I promised to post more often. I’m trying to keep that promise. Here come the links. 1 – I saw this graphic and thought of the number of times I was searching for something like, “How to Write A Broadcast News Story.” Try it, you’ll be deep in the google results before you find something remotely useful. 2 – YouTube has a fairly good resource called the Copyright Center. It is focused on video, but has some good videos about remix culture, educational use and fair use. And of course they have several good videos about copyright that would be useful in the classroom. 3 – Ever wanted to clean your lens the right way? Nikon has a lengthy video with a how to do it the right way. 4 – As a web designer, I find this funny. 5 – This is also true, and I tell my broadcast kids this all the time. No one else thinks your voice sounds weird. Does my voice sound funny, or am I sucking down helium? 6 – I really like the Iconic Photos web site. It is a combination of my two favorite subjects History and Journalism. This photo of Pope John-Paul II’s assassination attempt affected billions of Catholics and others world wide. The site also provides great in-depth information about the photos, it is terrific. 7 – Do your photographers want to make a living after they leave your classroom, then they must have all five of these key skills for a 21st Century photog – thanks dPs. 8 – Bill Mecca has a video that answers the question: How long should you leave graphics on the screen? My answer is usually long enough to read it out loud at a normal pace. 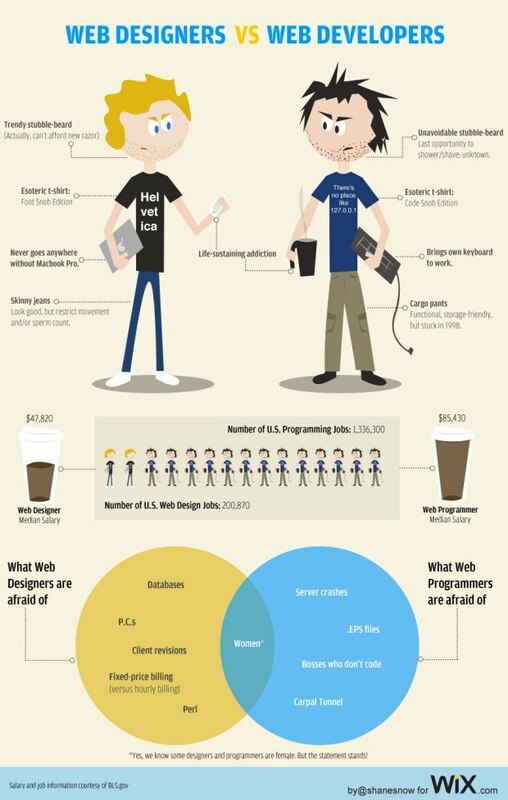 HTML5 will load much quicker than its older brother because it implements WebSockets. Mobile phone applications will be much more accessible if written in HTML5 because you will not have to write applications for a specific brand of phone but rather can create universal applications for all phones. You have more flexibility in creating your website. Video, audio and images are all easily written right into the code, eliminating the need for any third party software. This language is growing and will only result in more, new, better and faster features that will leave old websites looking outdated. HTML5 simply builds on HTML4, so the old markup can stay in place as you develop the new features. HTML5 and CSS3 together will give you some serious designer credibility. 10 – This is a great behind the scenes video of how they shoot the Super Bowl for Sports Illustrated. 11 – I love this quick way to teach sports photography “two faces and a ball.” It’s just that simple. 12 – How magical this must have been. Kids today don’t understand that we used to have to wait to get our pictures back. Not Polaroids. 13 – How do you tell a story? Good question. Campfire Journalism has a post with three different answers. Thanks. Until next week. Keep the faith. I’ve been a classroom teacher for sixteen years. I didn’t even know if I would like this gig when I started out. I came from a background in newspaper and TV. But I wanted something with more stability and weirdly enough a better paycheck – that was back when beginning teachers made $26,000 a year in Texas. They make a bit more now. But lately teachers have become the enemy. Our “fat paychecks” and “grand retirement” packages are just too much for taxpayers to handle. God forbid teachers make a living wage and be able to raise a family. It is not enough that we already sacrifice time, money and effort above what we are contracted to do. We are one of the lowest paid professions that requires both a 4-year college degree and continuing education after being hired. So many teachers pay for supplies out of their own pockets that the US Federal government recognizes this fact with a $200 tax deduction. Most teachers get to school an hour before the first bell and stay 2-3 hours after the last bell, making for 9-10 hour working days at school. This doesn’t take into account additional time at night and on weekends grading papers and planning lessons or calling parents. Of course we don’t “work summers” and lay around the pool all day for three months. Not likely. School ends here after the first week of June, and teachers return to school the second week of August. This gives you eight weeks off. But teachers often are called in for curriculum meetings, staff development, teaming meetings and a hundred other things. Many teachers also go in several days before they are “on the clock” to start getting their rooms ready for the first day of school, since many schools no longer give teachers time to do this anymore. Nearly all of these “extra duties” are non-contracted and unpaid. Next year in many classrooms, there will be 30-35-40 students packed into a room designed for 25. The desks will be wall to wall and right on top of each other. The computers will not be upgraded any time soon, and should one stop working, you will have to do without. This is how we prepare our students for the 21st century? If you have too many English language learners, or special needs kids – forget about asking for a co-teacher or even an aide. They too will be gone. Some districts are considering replacing their librarians with secretaries or getting rid of the library totally. Same with nurses: replacing RN’s with cheaper LVN’s or having several campuses share a nurse. Don’t even start on textbooks, some haven’t been replaced by the state in a decade. I’ve heard that some districts have started double checking the mileage line to make sure that every student who is outside the legal limit walks to school or is brought by a parent, not a bus. I wonder how much longer until they tell us we can’t have air conditioning until it is above a certain temperature. The double paned windows in my classroom don’t even open. There are other classrooms that have no windows. If you are lucky after 30-40 years of this, you can get a pension, and live off of 60 percent of your former salary. Many complain that teachers don’t do a good job compared to the “golden age” of the ’50s-60s. Back when ruler toting teachers apparently were 10 feet tall and shot fire from their eyes. Those teachers didn’t have the level of expectations we do today. If a student didn’t cut it, they failed them and sent them off to work in a factory or in the fields. Today, we are expected to make sure every student gets a 21st century education. But we still use some methods that haven’t changed in 100 years. Why – because we are told to do so. The same politicians who are using teachers as a tackling dummy, are the ones who like to mandate everything from the number of school days to the allowable calories in the cafeterias. There is more paperwork and regulation in schools than in nearly any other business. Yet, along with the regulations, there never comes an increase in funding for compliance. We must do more with less. Less is not always more – many times less is simply less. And as educators, we need to stop pretending we can keep doing more with less. We can’t! We are part of the problem. We keep taking it. We need to stop agreeing that we can do more. We can’t. If you live in Texas, or even other states – this is probably true there too. Join the Protect the Classroom movement, call – write – or email your state legislator and senator. This is going to hit EVERY school – yes the ones in your neighborhood too! My son had strep throat and the Dr. wouldn’t let him go back to school until tomorrow. So today is my day for parent duty – so no school. The yearbook is finally done, except the supplement and I can finally get a post out. It has been more than a month since my last post. Wow, that’s bad. I do have a lot of links though. 1 – Thanks to the Principal’s Page for this photo “What we see, what the kids see.” Funny. 2 – British photographer Horace Winters gives us a visual record of what the world of Charles Dickens was like. 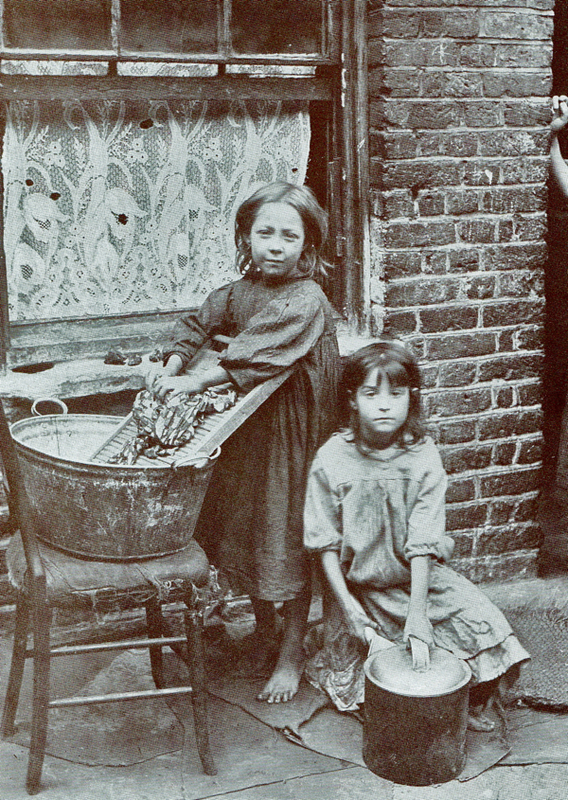 Courtesy of the blog Spitalfields Life, these photos could be used in history class, British Lit. or journalism. They are a great record of what most of us can only imagine from reading Nicolas Nicklesby or any other Dickens classic. 3 – As a teacher of both journalism and history, I’ve always been fascinated by the stories from the US Civil War and WWI of the Christmas truces. Many times, these tales tell of swapping common, but well liked items from one side, for what seems like better items from the other side – southern tobacco for northern coffee, etc. But also of singing common hymns like Silent Night, and then on Dec. 26, a return to the shooting. Thanks to Iconic Photos for the picture. 4 – Make Use Of has a Simple Guide to How The Internet Works in PDF format. Great for teaching students the basics of the internet. 5 – Here’s a great way to do first time assignments for MMJs doing a one-man-band assignment, thanks Bob Kaplitz blog. 6 – I think I’ve featured this before – Cueprompter – it is a free online teleprompter that works pretty good. 7 – I’m excited about the upcoming film – The Bang Bang Club about a group of photographers, including Pulitzer winner Kevin Carter. Thanks PetaPixel blog. 8 – Now this is punny. 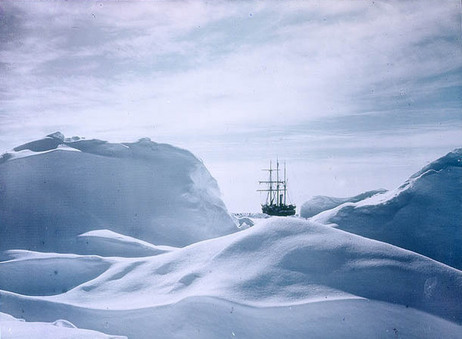 9 – Silber Studios have some super color photos from Frank Hurley, the photographer who accompanied Ernest Shackleton to Antarctica, but failed to reach the South Pole. The site discusses the difficulty in taking photos on the journey, never mind color ones. 10 – Here’s another iconic photo from the blog of the same name – The End of the Thousand Year Reich, taken by the incredible Margaret Bourke-White. She saw and took photos of so many incredible things during her career and this suicide photo was just one more to add to the list. Read the whole post for the rich details about the photo and the end of WWII and the many suicides of Nazi party faithful. 11 – No Cool Links would be complete without a post from the DPs, Digital Photography School. Every photojournalist needs to be able to shoot a decent portrait. Here are 10 Techniques for better portraits. 12 – Photographer Sean Armenta is a photoshop wizard and his tutorials on the Pen Tool and Healing Brush are great. Here’s his new one on the Clone Stamp Tool. Thanks PetaPixel and F/Stoppers. 13 – Pro Photographer Mike Olivella has a great YouTube channel where he shows off his techniques for shooting NCAA sports. Here’s his tips on Football. 14 – I guess this is the photography post – here’s a video on Vimeo about what it is like to be a photographer in the Obama White House. 15 – Here’s a little gem – a video about making a book using hot lead presses. 16 – What would happen if you used your camera for the first time? Funny video. 17 – The Lenslinger really says it all in this “open letter.” You can’t just be a writer or reporter or a photographer any more. You really must be able to do it all and do it well. You can’t be lazy and you better be good at what you do – or you will be gone. 18 – Want a graphical timeline of computers from 1939 to 2010? I’ve got tons more links, but I want to try to get back to a once a week schedule and publish again this coming weekend. Hope to see you then. There are just too many pages left and not enough days to finish them. We have 56 pages to finish and only 6 more days to finish them. The kids are plodding like we have a month left. I may need a Nexium drip before this is all over. I have fallen off the blog wagon. I am a bad blogger. But ever since my son started Webelos, I have been super busy with that. I happened to mention that I was once a scout myself and now I am just a much a part of his pack as he is and that leaves less time for blogging. I do hope to blog more, between yearbook and scouts, there is no time.